There are two ways of making your custom bicycle flags. Simple designs in large runs (greater than 50 flags) can be screen printed on our solid colored plastic bicycle flags. These can be ordered online here. Complex designs and short runs are made using a digital print process on polyester fabric. Both styles mount to our 1/4" whiprod for easy display on a bicycle, wheelchair, shopping cart or just about anything you'd like to mark. 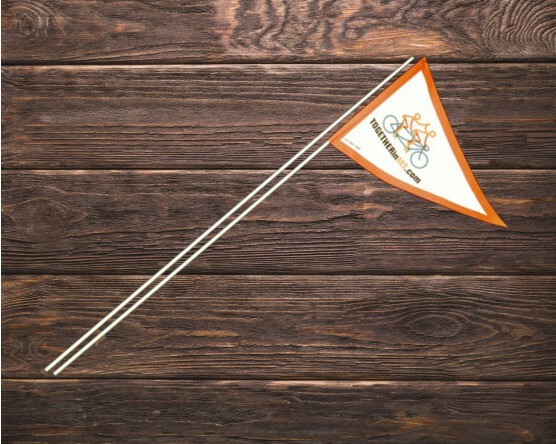 With so many different ways to use, custom bike flags are one of our most popular items! The standard size of a bike flag is 12 x 15 inches, and can be in a triangular or rectangular shape. Most custom bike flags are printed on two sides with heat cut edging. They are designed with a ¾ inch pole sleeve with a closed top, to mount to our ¼ inch whip rod. There are two main ways of making custom bicycle flags. Those that have simple designs are processed in large runs and can be screen printed on our solid colored plastic bicycle flags. Custom bike flags with more complex designs can be processed as shorter runs, and are made using a digital print process on polyester fabric. There are so many different uses for custom bike flags. They can be used in a very traditional sense – for display on your bike. Add your name, your child's name, a photo, saying, image – whatever you can think of – it's your choice! 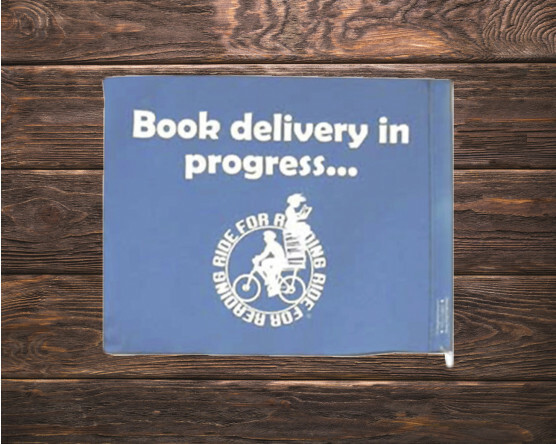 Custom bike flags can also be used on wheelchairs or shopping carts. Gettysburg Flag Works has many commercial customers that regularly order custom bicycle flags for business uses. Retail companies use them to designate, or mark off certain areas of the retail store and/or their retail distribution or warehouse center. Each brightly colored flag helps identify a certain area or section of the fulfillment center, giving employees an easy means to effectively assess and pick inventory. 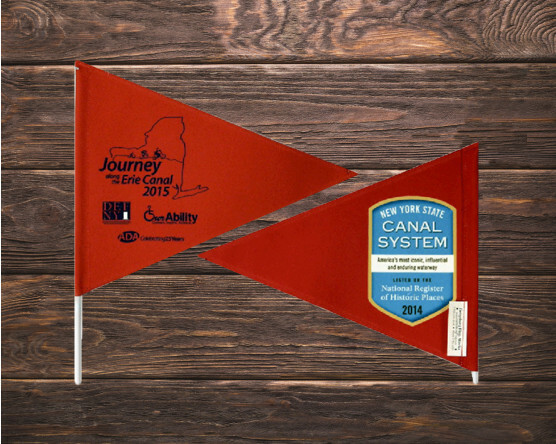 With the company name and/or logo, custom bicycle flags are a perfect solution to any need for identification, while also maintaining and building brand awareness. 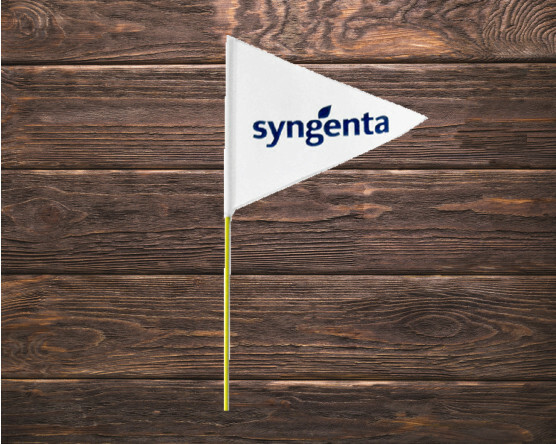 Some agricultural companies use custom bike flags for machinery and/or crop identification. Mounted atop a whiprod, it draws attention where needed. Finally, custom bicycle flags are regularly used for sightseeing companies and their tours. Held high up above the crowd, custom bike flags keep the group together and following the custom message. Gettysburg Flag Works also offers custom golf flags. 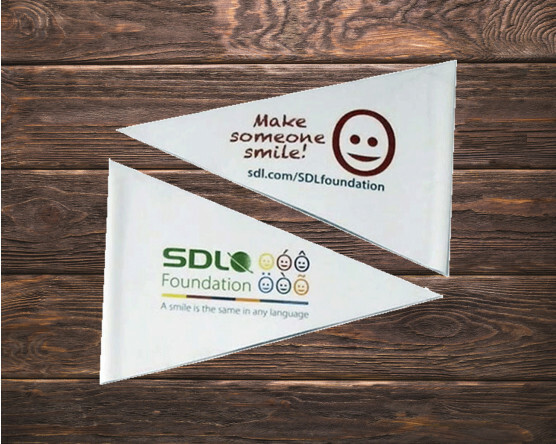 If you are looking for a customized way to represent your company name brand and/or logo – why not sponsor a golf outing and impress the players with a custom golf flag. These high quality custom golf flags are mounted on a golf pole tube (also offered by Gettysburg Flag Works) and your custom design will be sure to leave a mark. Did you know that Gettysburg Flag Works also offers blank nylon flags with a golf tube for mounting? If you are looking for a more generic means of identification with simple bright colors (and a wide assortment to choose from), then a blank nylon flag would be a nice alternative to custom bike flags. 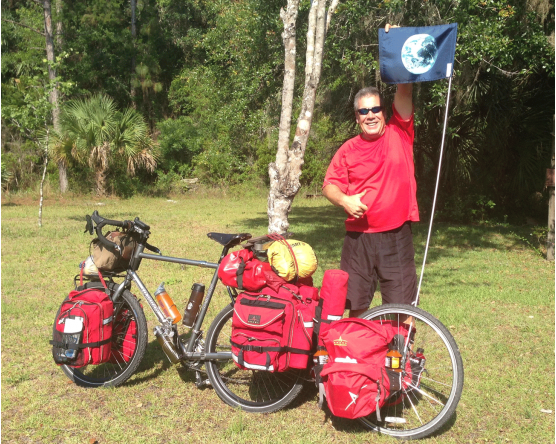 Have Questions or Can't Find What You're Looking For When It Comes to Bicycle Flags & Banners? Looking for more information about the process of creating a custom flag? You can learn more about our custom flag processes here. Need help designing and ordering your custom bicycle flag? No problem! Just give us a call at 1-888-697-3524 or contact us online and we'd be happy to assist you!